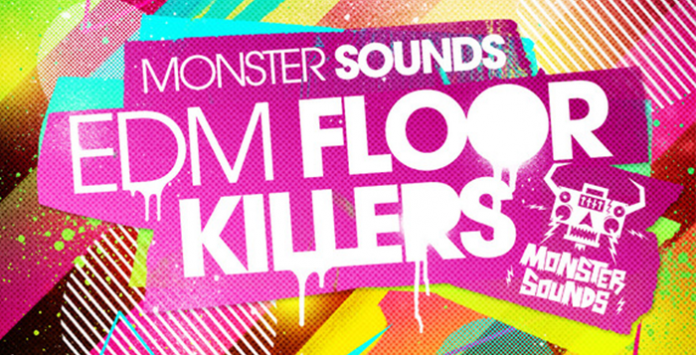 Straight from Monster Sounds development facility we are immensely excited to bring you the sound of EDM FLOOR KILLERS. This set of sounds is cocked, loaded and ready to drop hard with a killer collection of Anthemic synth lines, Massive build and drops, Euphoric effect rise and sweeps, heavyweight infectious drum rhythms and Dope bass lines all finished of with a set of Fat Patches for you to get really creative. The main focus of the pack is to bring the most EPIC hand in the air moments to your studio. We have come up with some of the fattest synth riffs that have been split down into multiple layers with hooky counter melodies so you can play around with the way the track progresses (229 loops to be precise). There are huge lead lines to either over lay, or to use more simply as the driving force of a track. Raw throbbing bass loops to push the energy on the floor. The Beats are punchy and fresh, set to bang hard with separated Kicks , Snares and hats but also including a full set of heavily processed loops to give the instant flavor to vibe from in the session. Just to finish things off there’s a generous 75 Fx loops here including huge builds and falls, take offs to make your drops the biggest. The EDM Phenomenon needs no introduction as the buzzword collective name for BIG room Electronic Music, With clubs and festivals all over the world bouncing to music from the big names in this genre, This Pack is purely about capturing that essence and smashing the biggest riffs we could make and cramming as many of them as we could into a Ridiculously Fat 1.68Gig of content. Producers searching for the tools to make not only EDM but any Anthemic Electronic Dance Music with big builds and Drops like electro house, trap, progressive, even drum and bass would benefit from investigating the content of this pack as there are many interesting sounds that would fit different genres.